Have you ever been to the Bahamas? The best location for the value is ATLANTIS: Paradise Island! If you haven’t heard about it yet, you’re missing out! Plus, they usually have great deals which will even pay for your airfare to get there. How can you beat that? Just click on the “Book Now” button below in our special link to get a Bonus Resort Credit and learn more about this amazing place - and have fun! You have to pay your mortgage while you are traveling… in addition to your Hotel room(s)! Why not just swap houses with someone else and put the savings in your wallet? Who knows, it might just pay for your entire trip! Check out HomeForExchange below to find out more. G-Adventures is the only tour group that we know of that can bring you to Antarctica. Tours are developed with you in mind at every point of the trip. Some of these are longer adventure treks that will take you on an experience that will last a lifetime - like making your way to Everest Base Camp, the Great Wall of China, or Machu Picchu! Even though the adventure can be difficult, G-Adventures really tries to make you feel comfortable! Best in Class! Their customer service and claims handling repeatedly surpasses customer expectations. Ratings on Google, Trustpilot and travel insurance aggregators are among the highest in the travel insurance category. This is because of the simplicity of communicating with you during claims via their mobile app, online claims, and emergency alerts. You can even access their online portal for information about your travel insurance policy. It boils down to more value for your money, ease of fixing issues, and superior customer service when compared to other travel insurance providers. 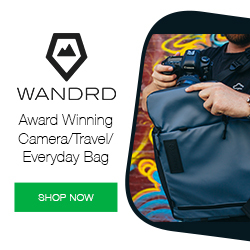 Check out WANDRD for some of the best designed travel and camera bags. These bags are designed with your gear in mind, so they aren’t just a great travel bag, they are also built to keep your things protected. Take a look! Booking.com has you covered when it comes down to issues that you might have during your stay. Combine this with some of the best prices on hotels, bed & breakfasts, hostels and other unique places and you have yourself a winning place to book your stay. Just take a look at how affordable it is to travel to some of the places you want to go by checking below. 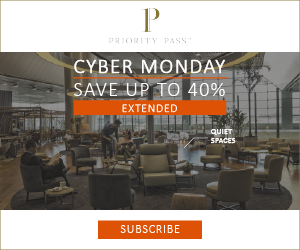 One of the best things to have if you are planning on traveling often is an airport lounge card. They honestly come in extremely handy if you are planning on traveling multiple times per year. They include food, drinks, alcohol, WiFi, comfortable sitting areas, restrooms, and occasionally even showers! If you travel often enough, your costs will be made up quickly simply by skipping the expensive meals at the airports and eating the food provided in the lounge instead. It really is one of our favorite travel deals! We got ours for free with our Chase Sapphire Reserve card. One of the best ways to save on airfare is to use Airfarewatchdog. You can check for flight prices today and set notifications to tell you when the prices have dropped. Click below to try it out! Want to Work Overseas? Teaching English doesn’t require knowing the local language, just English! Are you ready to travel and work in another country? Are you headed to the hottest U.S. destinations such as New York, Boston, San Francisco, Miami, or Orlando? Check out these Red Hot Deals from Virgin Holidays and save extra money through our site! Click "REDHOT Deals" for the best deals to New York, Boston, San Francisco, Miami, or Orlando! Are you headed to the Caribbean to holiday in places such as St. Lucia, Barbados, Antigua, or the Dominican Republic? Check out these Caribbean Specials from Virgin Holidays and save extra money through our site! Click "Caribbean Specials" for the best value accommodations in the Caribbean! Everyone can climb Mount Kilimanjaro. Wheelchairs welcome!